Welcome To Toronto's Entertainment District- Celebrated As One Of The Most Desirable Neighborhoods To Live In. 20 Stewart St Is Centrally Located In The Mecca Of Best Restaurants In The City, With Easy Access To Ttc. 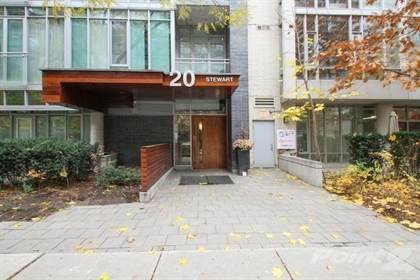 This Condo Is In Situated In Exclusive, Low-Rise, Very Private Condo Building. Unit Features 10' Concrete Exposed Ceiling, South Facing Floor-Ceiling Windows O/L Terrace. One Parking Included. Hi, I'd like to find out more information about 20 Stewart St. Thanks so much!